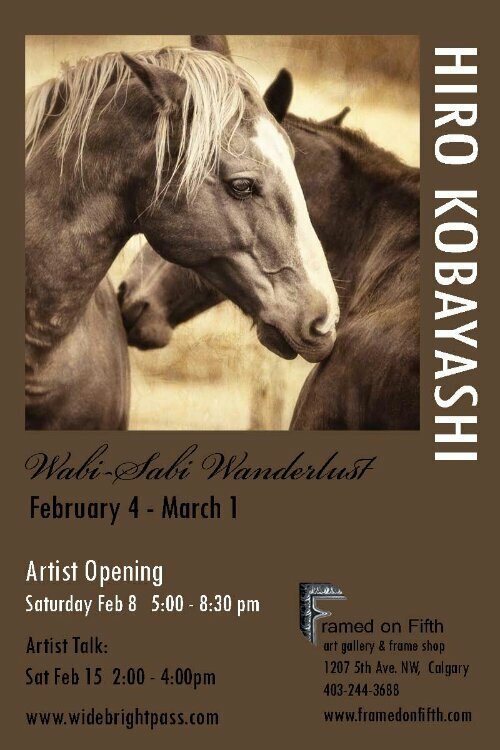 I will throw another solo exhibition. The show will start tomorrow. Robinson’s camera in Englewood, Calgary will launch a gallery space. I was offered to exhibit my horse photos along with some landscape photos because, of course, it is the STAMPEDE SEASON . I am honored to be the first photographer to have show at Robinsons’s camera! 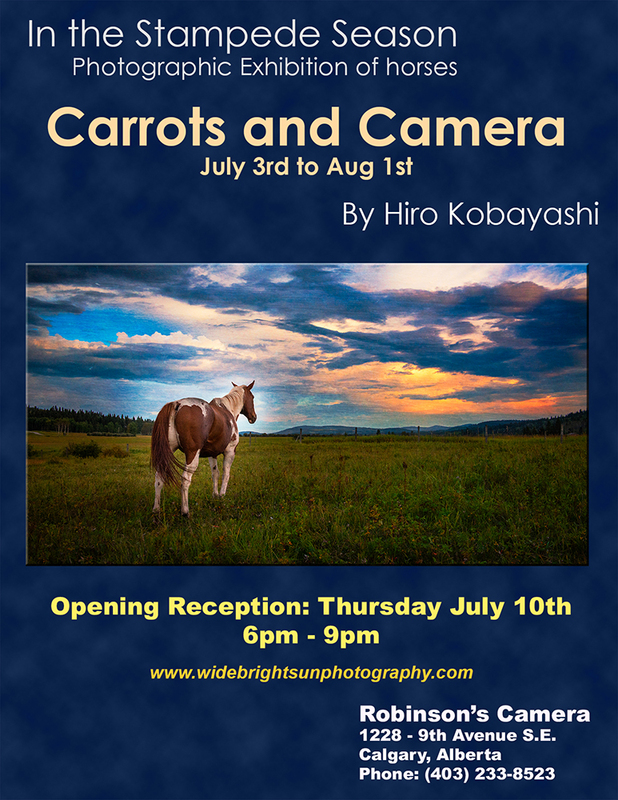 This entry was posted in Photography and tagged Alberta, Animal Portrait, Animals, Calgary, Calgary landscape photographer, Calgary photographer, fine art, Gallery show, horses, Landscape photography, Robinson's Camera, Visual Arts on July 2, 2014 by Hiro. 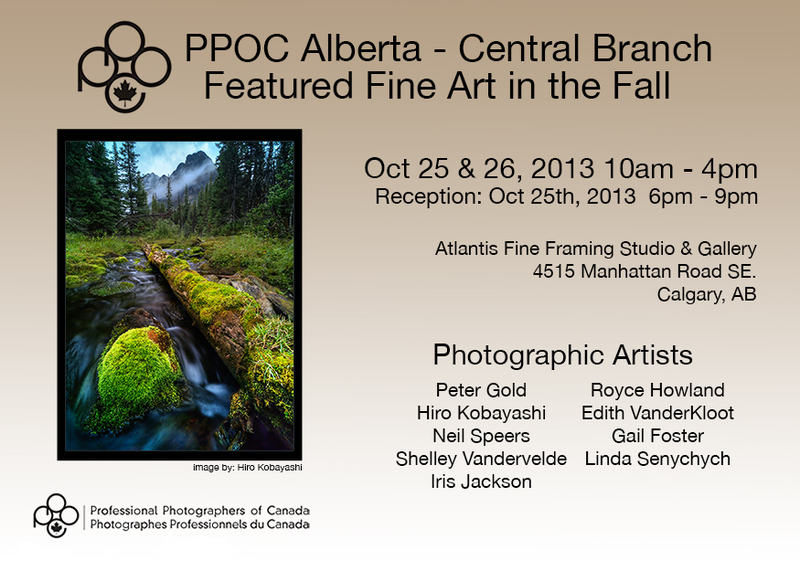 The opening reception will be on Oct 25th from 6pm to 9pm. Please come to see us and enjoy some wine and cheese. This entry was posted in Photography and tagged Alberta, Arts, Calgary, Calgary photographer, Gallery show on October 21, 2013 by Hiro.